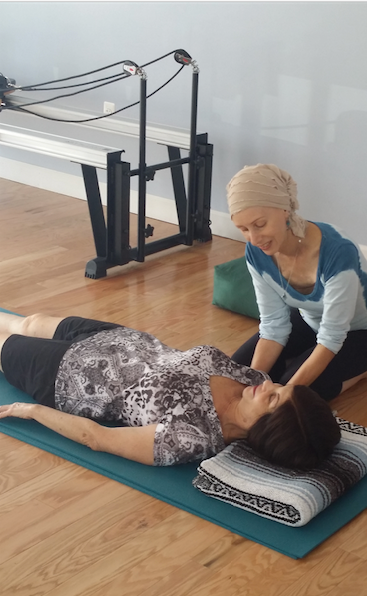 “Somatic Movement Fitness,” a program for individuals and groups. Using a variety of movement modalities, dynamic imagery, visualizations, and energy work learn to tap into your body’s intelligence. Create new neural pathways and movement patterns to help improve activities of daily living (ADL), pain management, and increase range of motion (ROM). Work on posture, alignment, and breath. Learn to move with more ease, comfort, and confidence. Sessions are tailored specifically to meet the needs of the individual or group. Skills and techniques learned in class have benefited many people including those with chronic pain, recovering from injuries, as well as those going through cancer treatment and post-cancer support. “My first meeting with Doreen was as a student of hers in a college level dance class. Since my first class with her, I have not only grown as a dancer , but as a mover who now observes and listens to my own body. Doreen's extensive knowledge and passion for somatic and " holistic " movement education has truly helped me move with more freedom, awareness, and purpose!